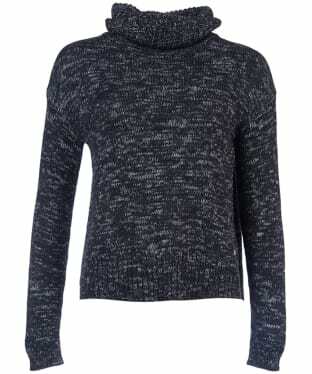 For the ultimate in country style; look no further than our stunning collection of women’s roll and high neck sweaters. Renowned for being functional and fashionable; your winter wardrobe would be incomplete without one and luckily, here at Outdoor and Country we have an impressive range of quality, polo neck jumpers that will help you keep the cold away with impressive flair. Available in a range of styles and colours; you really can’t go wrong with our impressive selection. 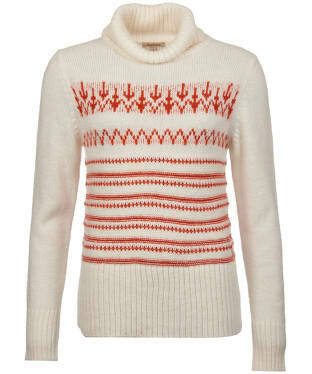 Add warmth and style to your cold weather look with the Women's Joules Penny Embroidered Jumper. 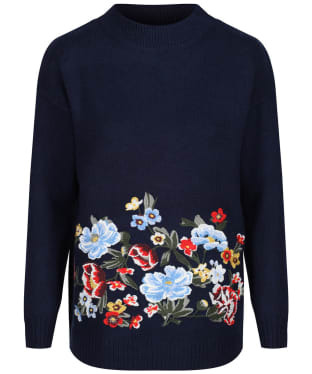 Beautifully crafted with a touch of wool to keep you snug on those chilly days, the Penny jumper boasts a beautiful embroidered pattern to the front that you are sure to love. 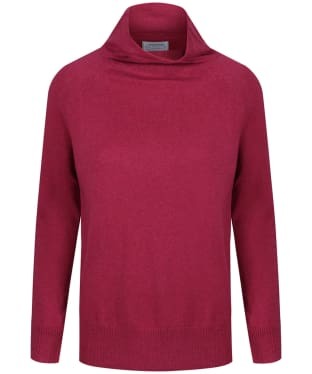 With a ribbed neckline, hem and cuffs for a flattering finish, we think that this jumper will look fabulous when paired with your favourite Joules jeans, jacket and boots. 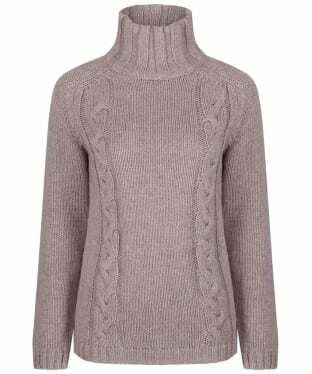 Knitted in a blended yarn that contains wool and a dash of cashmere, the super-soft Women's Barbour Pendle Roll Collar Sweater has a luxury feel that you are sure to love. 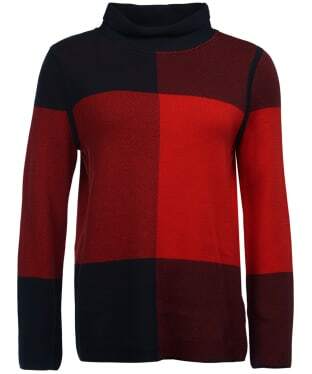 Styled with a cosy roll collar and long sleeves trimmed with elbow patches in Barbour's signature tartan, this sweater will keep you warm and cosy whether you are heading into the town or country. Saddle-style shoulders and open vents at the side hem and cuffs add subtle yet distinctive extra detail. 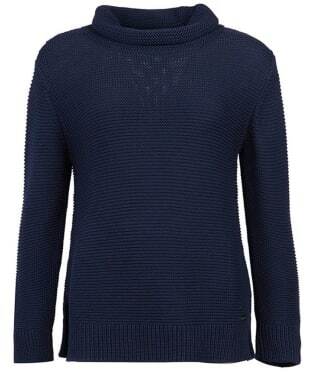 Wear this sophisticated knit with slim line denim and leather boots for new-season elegance. 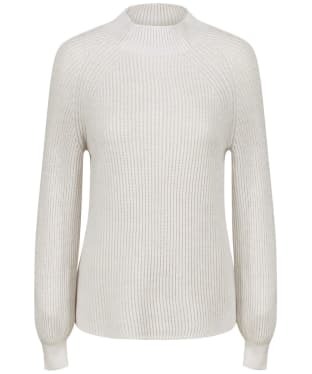 Bring some 50s styling to your modern look with the Women's Seasalt Gulf Jumper, offering you a 50s inspired roll neck jumper you are sure to love! The Seasalt Gulf has been crafted from a soft merino blend to offer you an added touch of comfort and luxury you will be sure to wear over and over again. The straight fit design and striped finish are perfect for offering you an added touch of style and wearability which is perfect for this season and beyond. A simple and easy-to-wear style for the cooler months, this luxurious Schoffel Cotton Cashmere Turtle Neck Sweater is ideal for layering under your favourite gilet or jacket this season. 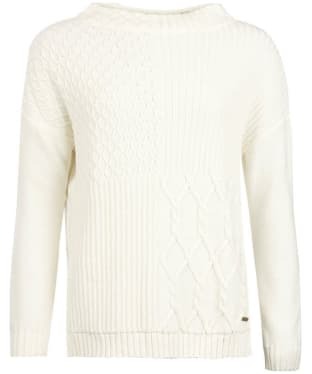 Crafted from a premium bend of cotton and cashmere, this Schoffel sweater will not only look fantastic, but feel beautifully soft too! The turtle neck is an elegant look on all shapes and sizes, while the slightly ribbed cuffs and hemline ensures a neat fit everytime. 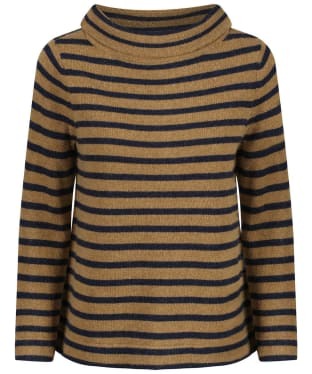 The Women's Seasalt Between Tides Jumper lends a nod to the ever stylish and popular Seasalt Gulf Jumper, so we know that you will love this new addition! 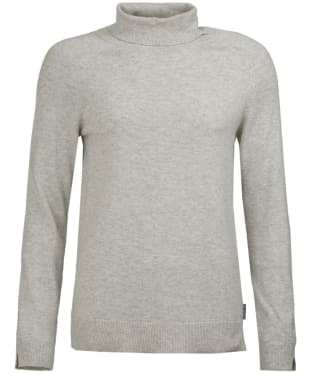 Crafted from super soft cotton with an added touch of wool, this jumper is perfect as the weather starts to get warmer. 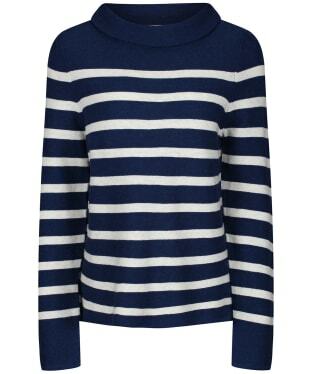 Inspired by the brands coastal heritage, this knit boasts a timeless striped design to keep you looking on-trend through this season and beyond, and is finished with a flattering Hepburn neckline. 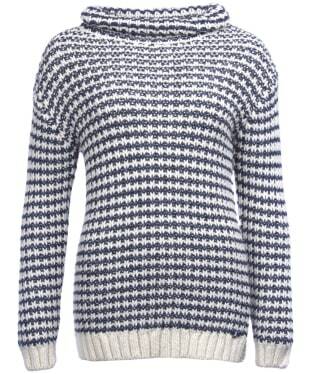 No stylish lady's wardrobe should be complete without the Women's Seasalt Tutwork Jumper. 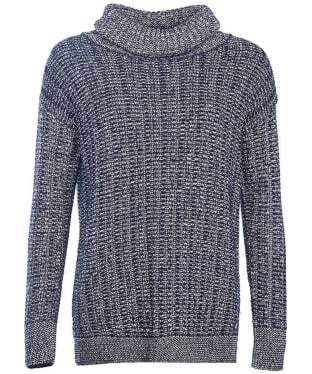 We love the on-trend chunky cable knit design that this jumper boasts, it is certainly sure to keep you warm and cosy on those walks along the coast or trips into town! 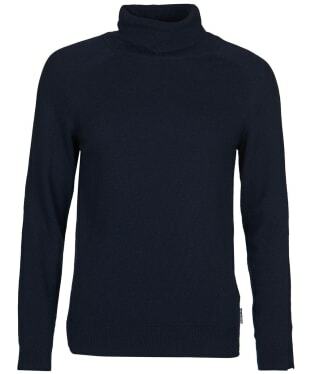 Crafted from high quality wool with an added touch of alpaca for a super soft, premium feel, the Tutwork has a high roll neck that is ribbed as well as the cuffs and hem to offer a neat fit, keeping those chilly winds at bay. Pair with your favourite jeans and Seasalt jacket to complete your stylish look with ease. 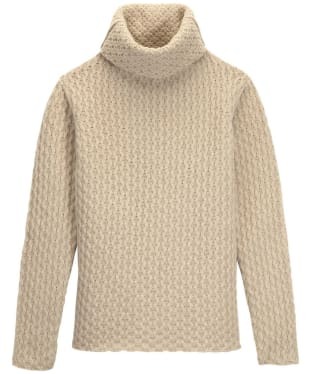 The Women's Seasalt Gulf Jumper is a perfect piece for layering under your favourite Seasalt coat to add warmth and style to your look with ease. 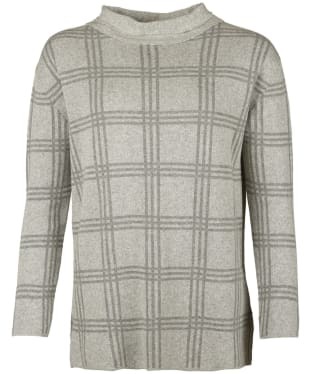 Crafted from a soft merino blend, this jumper will be super comfortable to wear and offers a cosy feel perfect for those chilly days! 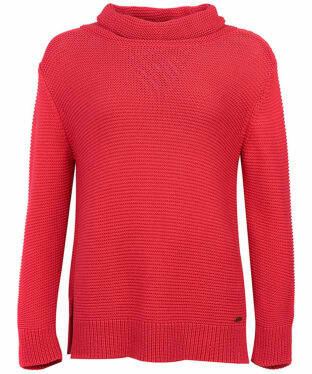 Sure to keep you on-trend through this season and beyond, the Gulf Jumper boasts a 50's inspired rolled neck for a timeless feel. A classic style back for another season, the Women's Seasalt Gulf Jumper is definitely one of our wardrobe favourites, and we know it will be one of yours too! Super soft and comfortable, this jumper has been crafted with extra fine merino and alpaca for a premium, cosy feel, making it ideal for when there is still a chill in the air. 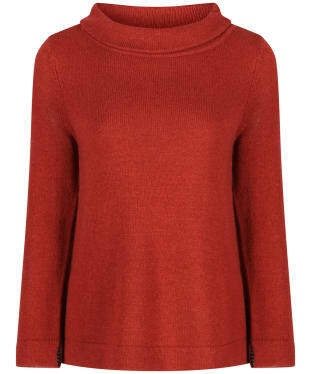 Flattering and feminine, this knit is finished with a Hepburn, roll neckline for that added touch of style. 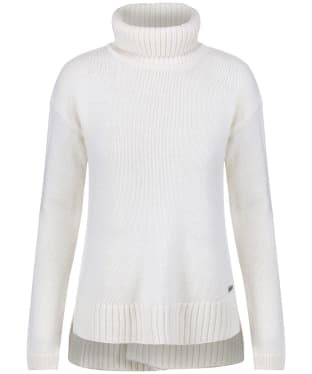 You've got style, comfort and warmth all rolled into one with the women's Schoffel Merino Cable Roll Neck Sweater. 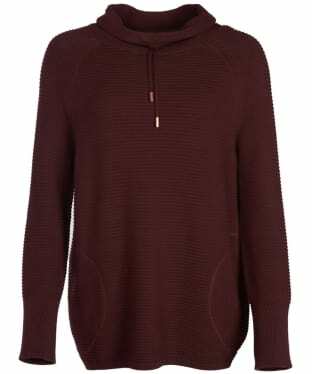 Crafted from luxurious merino wool, this sweater will keep you warm and cosy in the cold weather, while still being breathable enough for comfort. 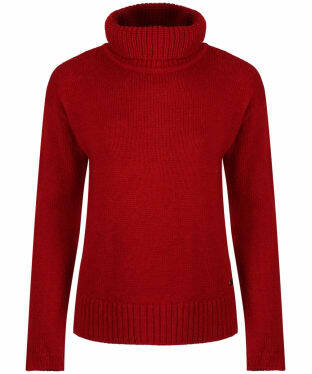 The high roll neck sits neatly under the chin for added warmth, and features a wide ribbed design. The front is finished with a timeless cable knit, while the cuffs and hemline are also ribbed for a neat fit. The raglan sleeves offer great ease of movement, and are finished with fine knitted detailing for that added touch of Schoffel quality. 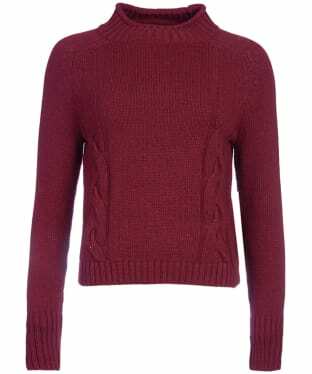 A wardrobe essential for any stylish lady, the Women's GANT Ribbed Mockneck Sweater is perfect for placing under your favourite jacket to keep you cosy and on-trend through this season and beyond. 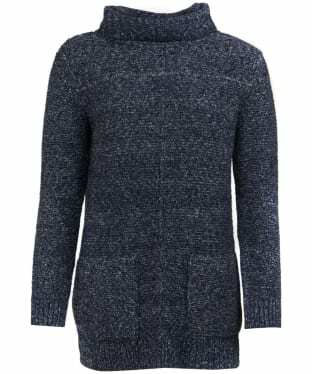 Beautifully crafted from 100% merino wool, this premium sweater offers the upmost warmth, for a snug feel whether you are off out for a walk on a frosty morning or simply heading into town. The ribbed design offers a fashion forward look, with the fitted cuffs and high neck added to not only keep those chilly winds at bay, but to create a flattering, feminine feel that we know you will love. 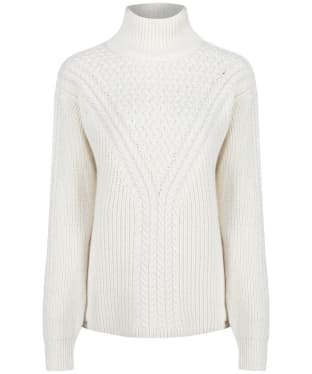 A wardrobe essential for any stylish lady, we know that you will love the GANT Cable Turtleneck Sweater. 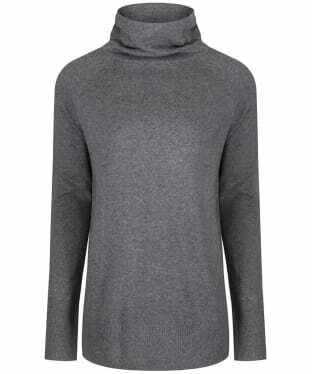 This premium turtleneck has been crafted from merino wool and cotton, offering the upmost warmth and comfort to keep you cosy all day long. 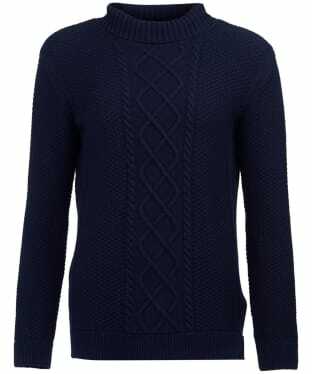 Perfect for pairing with your favourite GANT jeans and jacket, the sweater boasts a timeless cable knit design to keep you looking on-trend through this season and beyond. 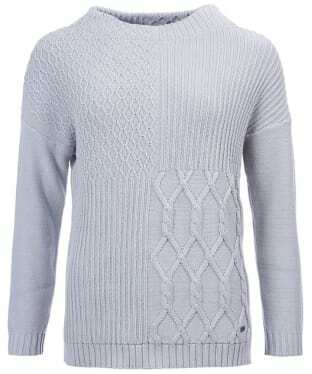 With ribbing to the neckline, cuffs and hem, you can be sure that this GANT piece will keep those cool winds at bay. 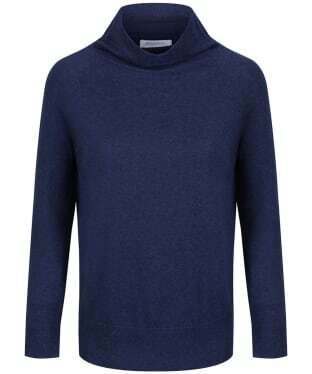 Finished with signature GANT branding for that added mark of quality excellence, this Cable Turtleneck Sweater will definitely be your new go to piece of fashion forward knitwear. 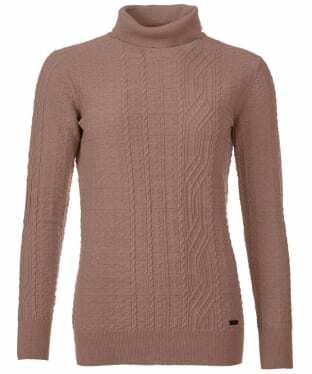 Ideal for layering up on those colder days alongside your favourite Barbour jeans, the Women's Barbour Annis Knitted Sweater has been crafted from a cotton and wool blend for a super soft feel and features a wide neck to give you a flattering and feminine design. Inspired by the classic Barbour tartan, the long sleeve sweater features contrasting colour to the inside, and features Barbour branding to the rear neck for a subtle stamp of quality. Whether heading into the office or wanting to add some style to your casual days, the Barbour Annis Knit is the perfect layers solution. Perfect for layering when the cold weather arrives, the Barbour Argyll Knit has been crafted from 100% cotton for a soft and warm feel we think you will love. Also featuring a high funnel neck for more insulation, the sweat has been inspired by Barbour's tartan range and features the Barbour branding on the rear neck as a final stamp of quality. Team with your favourite pair of Barbour jeans for a timeless casual look. Layer up in style and warmth this season with the Women's Barbour Block Texture Knit Sweater, crafted from 100% cotton to offer you an added touch of comfort and wearability. The quarter block texture knit has been combined rib, cable and zig zag stitching to offer you contrasting styles you are sure to love. The drop shoulder and tunic shape give you a relaxed styling perfect for those more casual days, while the stand up neckline is ideal for keeping those cold winds at bay. 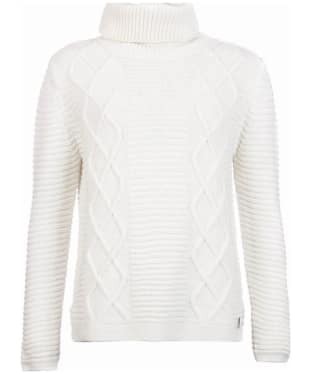 Ideal for completing an elegant, winter look, the Dubarry Boylan Polo Neck Sweater is crafted from a blend of soft cotton and insulating nylon, which has been woven into a traditional heathered yarn for added interest. 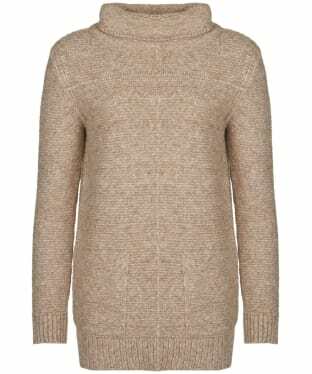 This high neck sweater offers a sophisticated look, while the cable knit design to the body of the sweater adds that much-loved country charm. 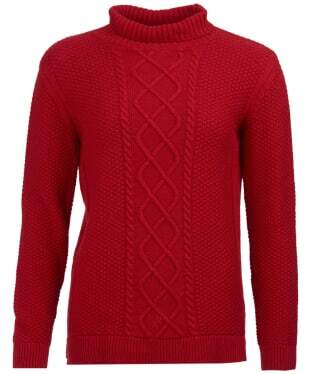 The cuffs and hemline are ribbed to offer a neat fit, and the sweater is finished with classic Dubarry branding. 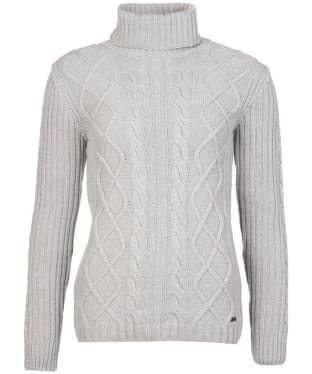 The Women's Barbour Fraser Knit Sweater is perfect for layering up in style on those casual days, offering an Aran style knit with a roll neck to give you an added touch of comfort and style. The Barbour Fraser features a cable and diamond detailing to the front panel giving you a stylish finish you are sure to love! 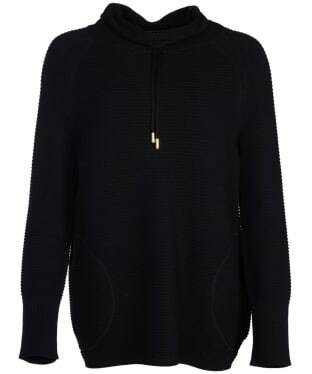 For an added touch of stylish detailing this sweater has been finished with soft leather elbow patches with a profile stitch. This sweater is part of the Barbour Sam Heughan Signature Collection, combining actor Sam Heughan's love of Scotland and the outdoors to create a beautiful collection for women. Layer up on those colder days with the Women's Barbour Purl Stitch Knit Sweater, crafted from 100% cotton for an added touch of comfort and breathability. The Barbour Purl offers you a relaxed style you are bound to love, perfect for those casual days this season and beyond. The loose roll collar sweater and a links knit structure give you an added touch of style and wearability, completing the casual look. The Women's Aigle Macdom Honeycomb Roll Neck has been crafted from 100% wool, with a honeycomb knit detail to give you an original look. 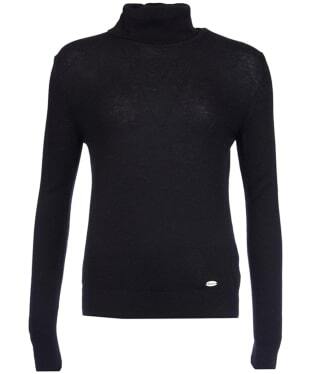 This roll neck is ideal for those colder days, and will look great under your favourite jacket. 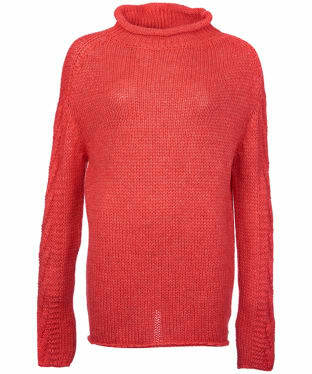 This roll neck sweater has been knitted using large gauge pure wool adding to its unique style. 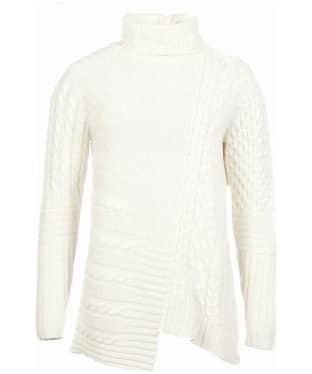 A sweater ideal for keep you both warm and stylish this season and beyond. Layer up in style this season and beyond with the Women's Barbour Court Roll Collar Sweater, offering you a chunky knit sweater crafted from a soft yet resilient woollen blend. 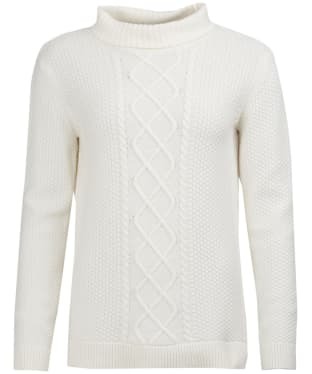 For an added touch of stylish detailing this sweater features a diamond cable with contrasting ripple stitch knit structure. 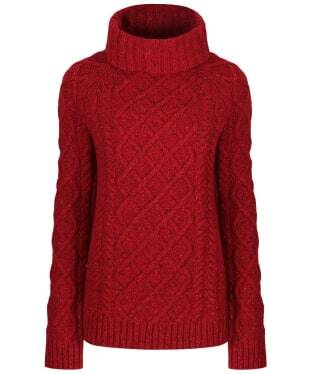 The roll neck collar is perfect for offering you added style and warmth. The Barbour Court is perfect for those casual days, teamed with a pair of flattering Barbour jeans. Layer up in style this season with the Women's Barbour Hermit Knit Sweater, crafted from a cotton blend for an added touch of comfort and wearability. 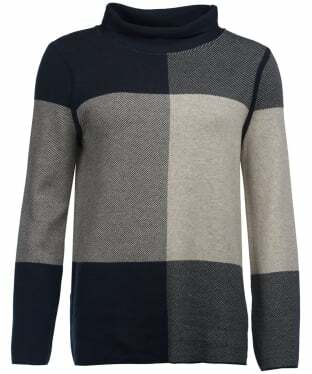 This beautifully designed sweater has combined two colours to form a marl look and a basketweave texture, creating a look you are sure to love! 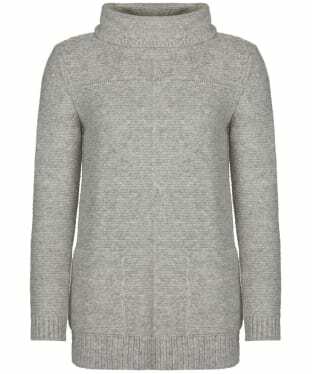 The textured knit roll collar is perfect for those colder days and completes the look of this beautiful sweater. The Women's Barbour Faray Roll Neck Sweater is ideal for wrapping you in style and warmth this season, offering you the ideal layering piece. The Barbour Faray offers you a flattering fit, perfect for teaming with jeans to complete your causal look. This stylish sweater has been finished with Barbour Winter Tartan elbow patches for an added touch of style and wearability. Wrap up in style this season with the Women's Barbour Icefield Roll Neck Sweater, ideal for those colder days featuring a roll neck for added warmth. The Barbour Icefield features a Fairisle type style which draws inspiration for the forests of Northumberland and beyond, ideal for offering you a unique styling you are bound to love!! 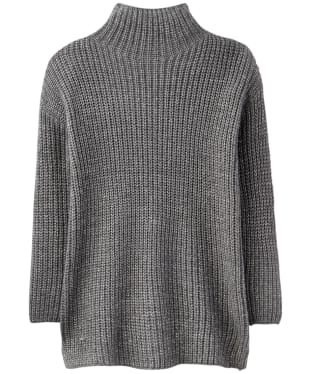 This stylish sweater has been crafted from an alpaca blend, finished with a deep ribbed hem for a flattering and feminine fit. The women's Barbour Nebit Roll Neck Jumper is a classic, timeless style that has been expertly crafted to offer exceptional quality alongside premium comfort. Lambswool is renowned for its ability to keep you extra cosy whilst also offering reliability and durability. This roll neck design is part of the brand's much coveted Winter Tartan collection and has been intricately knitted to form a structure that represents the iconic Barbour tartan layout that sits alongside the classic cable knitted body. 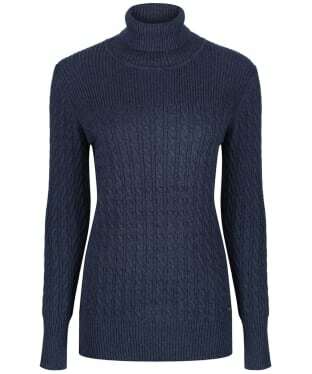 The ribbed roll neck and trims improve the comfort of this jumper that looks great teamed with dark denim jeans and heeled ankle boots. 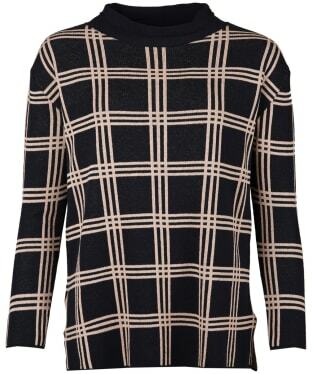 Stay warm in style this season and beyond with the women's Barbour Droplet Cropped Knit Sweater. 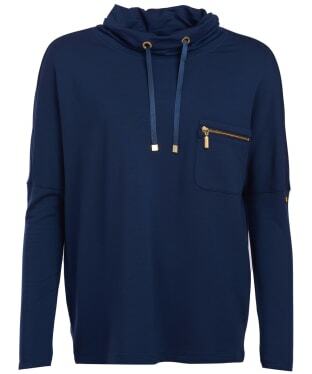 This beautifully design sweater is ideal for teaming with both jeans and chinos to complete your casual look with stylish ease. The Barbour Droplet has been crafted from a blend of wool and cotton for an added touch of comfort and warmth. 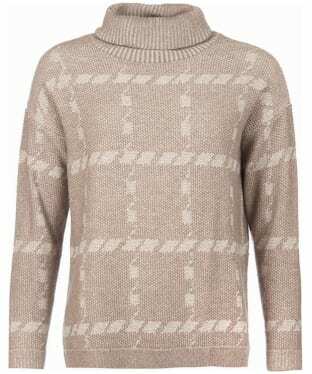 This stylish sweater has been finished with the added detailing of cable knit detailing to the front and back, offering you an added touch of style and wearability. This beautiful sweater is part of the Barbour Heritage collection designed for the discerning women who demands tradition and style. 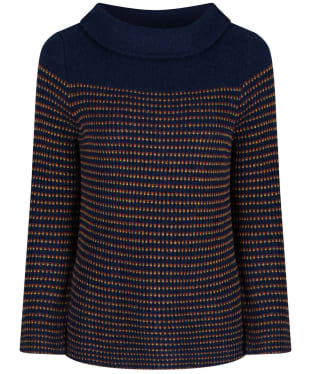 Great for covering up on those cold winter days, the Joules Prunella Funnel Neck Sweater is a soft, relaxed fit jumper that has been hand beaded to complete a beautifully casual yet glamorous look this season. 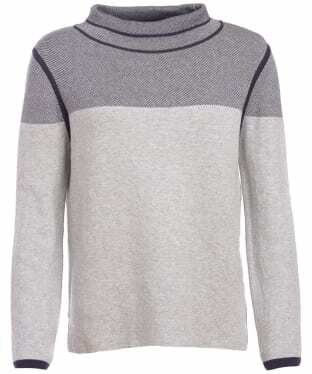 Complete with an elegant high funnel neckline and an ultra soft wool blend construction, this on-trend Joules sweater will look great with skinny jeans and tall boots on laid back days.